Sentiment: Explore how an entire country is feeling, whether optimistic or anxious. Sentiment will be captured across search trends and public Google+ conversations. 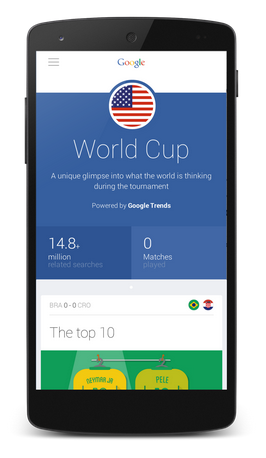 World focus: For every match, discover which team is capturing the world's attention in Search. Top questions: Do your users want to know more about a penalty kick? They’re probably not the only ones. Check out trending questions from every competing country before and after kickoff. Rising players: Find out the players to watch and how they rank in search compared with their teammates. Check out google.com/worldcup now and make sure you’ve got the latest information when creating your content. Whether it’s insight on how a country is feeling ahead of a big match, or where fans stand on a referee’s decision. 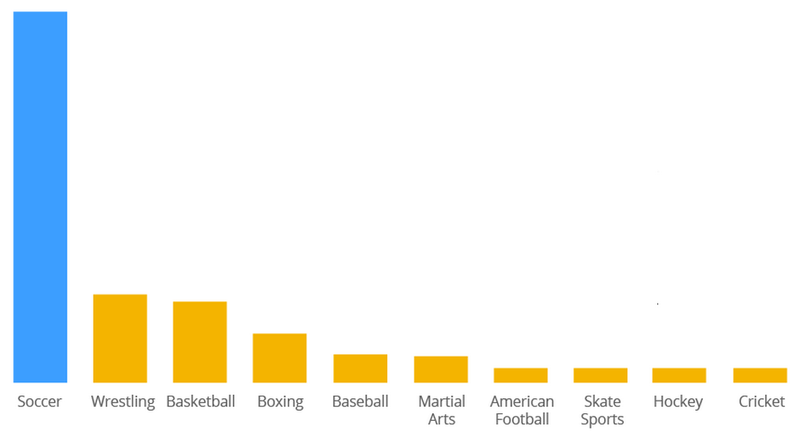 Tailor your content to what’s capturing your users interests right now with the latest insights from google.com/worldcup. This blog post was adapted from content originally posted on the Inside Search blog. In addition to simplifying the ad unit creation process, we’ve also refreshed the user interface for this page, making it more intuitive and easier to navigate. When choosing from the various options for your new ad units, we’ll help you in your final decision by highlighting the potential impact of your choices. Once you’ve decided on the best ad style, you can quickly implement this across your entire site rather than having to apply changes on an ad unit level. Finally, to help enhance the look of ads on your site, we’ve made some changes to the default color palette for our text ads. 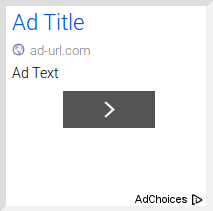 The URL link will now display in a light gray replacing the green color previously associated with it. It's important to note that these new features will not cause any changes to the way your existing ads appear on your site. For more information on the ad unit creation process, visit our Help Center. 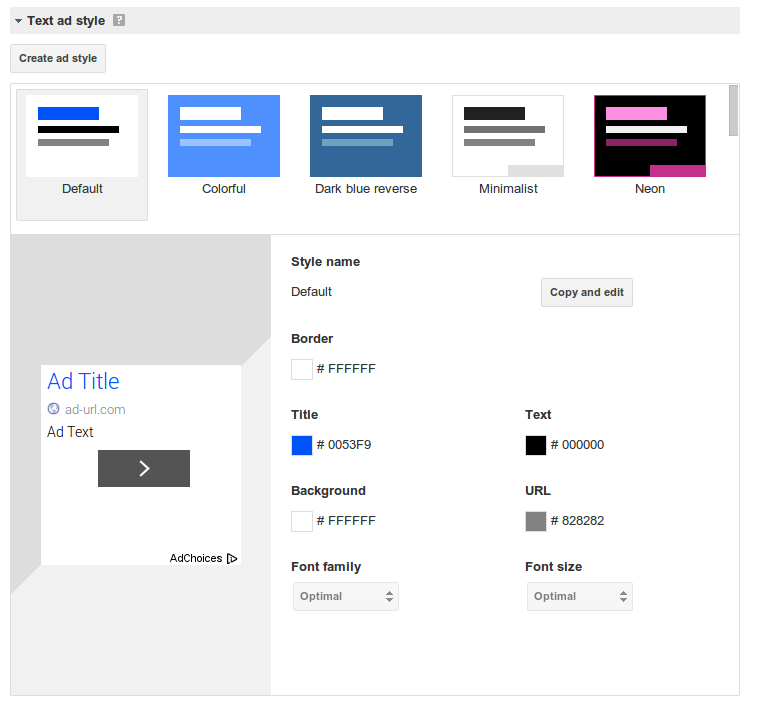 We hope the new My ads page will help make the ad unit creation process a quicker and more impactful experience for you. Share your feedback and suggestions over on our Google+ page. Creating new ad units for your site can take time, especially when deciding on their look and style. 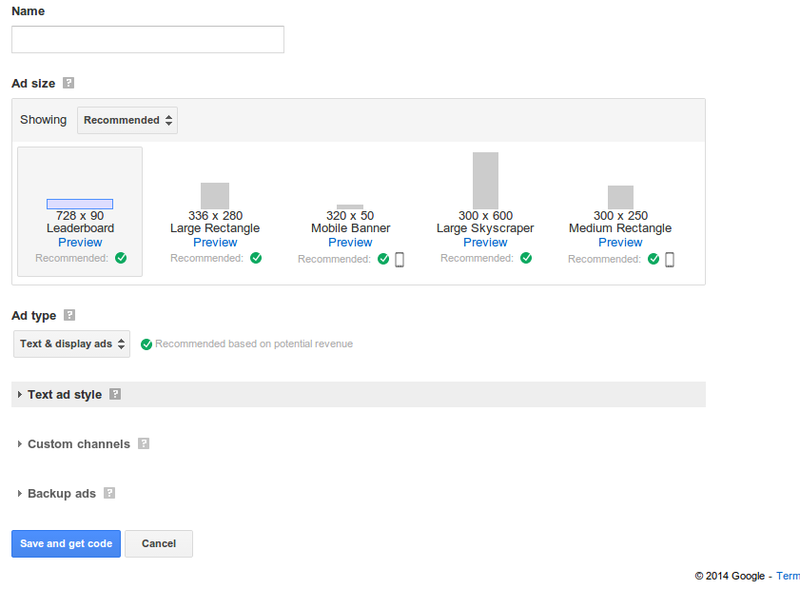 Save time on this process with the new, simplified My ads tab in your AdSense account. From today, it’s quicker and easier to create new ad units, giving you more time to concentrate on optimizing your ad space. We've heard from both publishers and advertisers that new, larger ad formats provide a great canvas for rich creatives and perform well on many sites. Today, we’re pleased to share two new ad sizes - 970 x 250 Billboard and the 300 x 1050 Portrait - that will help you reach more advertisers while also enhancing user experience and engagement on your site. As with most of our ad sizes, both of these ad units can accommodate standard text ads in addition to image ads. Additionally, they can show similar-sized image ads when doing so will maximize the performance of your ad unit. In this case, a 300 x 250 ad would serve in the 970 x 250 ad unit and a 160 x 600 would serve in the 300 x 1050 ad unit. As both of these new sizes are large ad units, you can place a maximum of one per page. As always, remember to keep a balance between your content and ads and ensure your ad placements comply with our AdSense program policies. We’re always looking for your feedback and suggestions to help us provide you with the ad sizes you need to stay flexible to your advertiser and user needs. Stay tuned for more updates coming soon and share your feedback in the comment section below.